Left to Right: Aubrey Pereira, Arthur Rego, Yogesh Vora, Bryce D'silva and Girish Shah. Missing from the picture is Carl Mascarenhas. 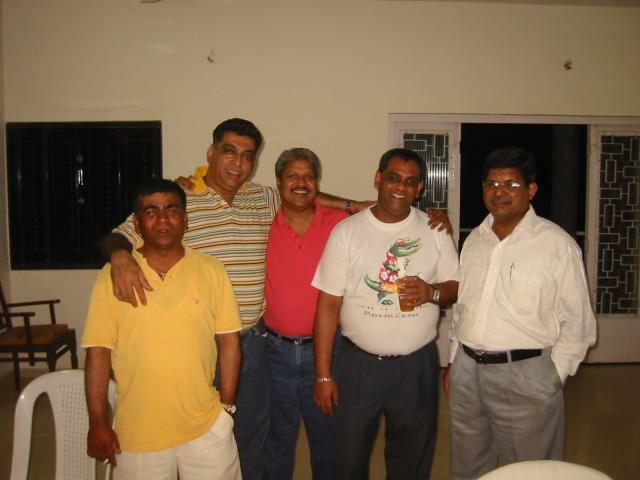 Yogesh, based in Bangalore and Girish in Pune came down only for the re-union.